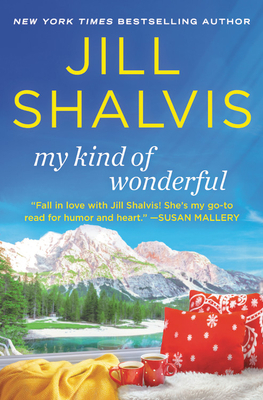 From the New York Times bestselling author Jill Shalvis comes an emotional women's fiction read about a woman determined to take advantage of her second chance and live life to the fullest. Bailey Moore is finally getting to live on her own terms. After a fierce battle with cancer, she's ready to do all the things she never dared to before, like sail the Greek Islands and explore Europe's castles. Her first new adventure brings her to Cedar Ridge Resort, a ski lodge in the Colorado Rockies. Bailey quickly discovers that following her No Regrets List won't be easy. It doesn't offer instructions for how to deal with a suffocating mother or an ex-fiancé who doesn't want to let her go. Her list also doesn't include falling for the lodge's swoon-worthy head of ski patrol, Hud Kincaid, and his boisterous, kindhearted family. As much as she longs to travel the world, Bailey soon realizes it will be hard to leave the small town of Cedar Ridge and the people in it. And when her past comes calling, she'll have to summon more courage than ever before to live the life she truly wants.